Want great sound and great looks from your Bose® Lifestyle® 650 OmniJewel® speakers? 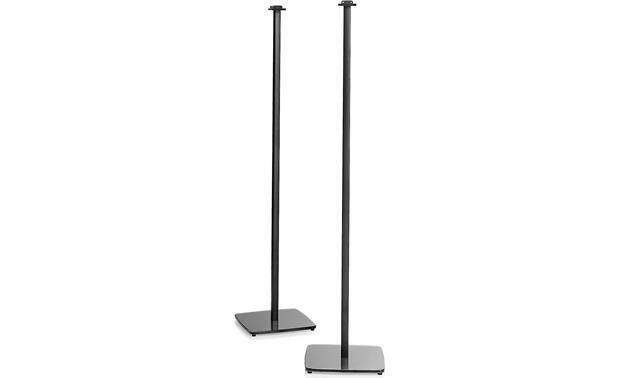 Then use these sleek floor stands with the left- and right-channel speakers in the front or back of your room. They position the speakers at the ideal height for immersive home theater sound. Built-in wire channels conceal your speaker wires for a neat, clean look. height to top of mounted speakers: 38"
I loved these stands so much I bought four of them for my whole Bose Lifestyle 650 setup. Compatibility: The Bose OmniJewel Floor Stands are custom-designed for the Bose Lifestyle 650 home theater system's OmniJewel satellite speakers. The bottom of the OmniJewel satellite speakers will sit 35.5" off the floor, while the top of the speakers will be 41.25" above the floor. 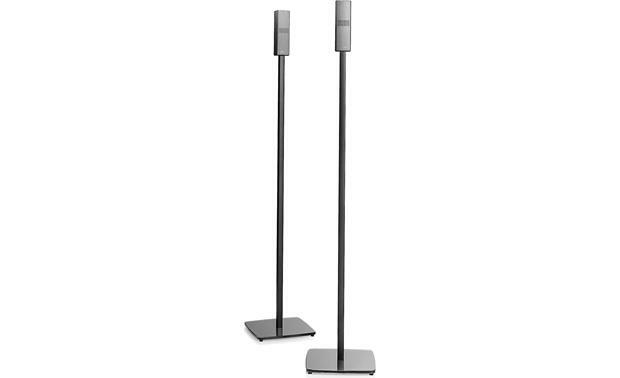 Quality Construction: The OmniJewel Floor Stands feature extruded aluminum construction with tempered glasses bases. They're available in a black or white finish. Installation: The Floor Stands secure to the OmniJewel satellite speakers using the included hardware (2 screws for each stand). Rubber Feet: Integrated rubber feet make it safe to place the floor stands on hardwood, tile, vinyl, or laminate flooring. Cable Management: Each floor stand features a cable management opening and channel to route the OmniJewel satellites' speaker wires through for a professional looking installation. Searches related to the Bose® OmniJewel® Floorstands .